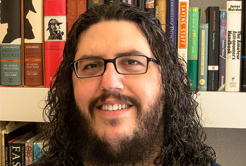 A weekly podcast I do with author Shawn Kupfer. Men in Gorilla Suits is a philosophical look at pop culture and life. One week, we might talk about poo (seriously, we did a whole episode about poo, and people loved it), and the next — apathy or work/life balance. 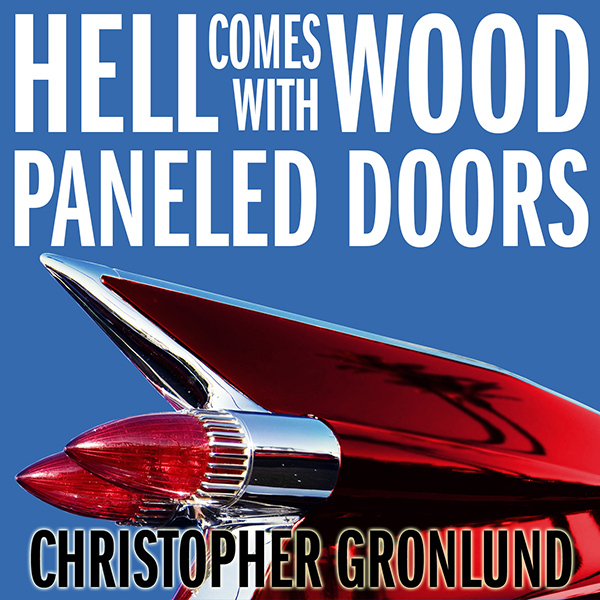 Hell Comes With Wood Paneled Doors is a humorous coming-of-age story about a family traveling cross country in a possessed station wagon. Listen to the podcast here (with commentary) or get right to the story on Podiobooks. When thirteen-year-old Michael O’Brien and his father, James, buy a new car just in time for the family’s summer vacation, they get a lot more than they bargained for. With a stroke of a pen, James signs over more than his ’74 yellow Gremlin as a trade in for the The Inferno, a 5,000 pound steel beast fueled by a whole lotta Satan! Joining them on the trip are Michael’s creepy younger siblings, Elvis and Olivia; his overbearing mother, Mary and her pet Chihuahua, Lucky; his backwoods aunt, Margie; and the cremated remains of his grandmother, June, whose dying wish was to have her ashes scattered in the Grand Canyon. Can the O’Briens pull together to battle the possessed vehicle and save James’s soul, or will the forces of evil destroy the family in the process?